Back in 1996, the world began to talk about Fight Club. 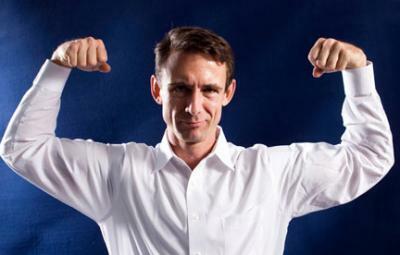 It was an appropriate reaction, given that the book's author, Chuck Palahniuk, has been setting – and breaking – literary rules ever since Fight Club was first published. Three years after the release of Palahniuk's debut novel, it was adapted into a movie by director David Fincher and even now the story continues to captivate audiences. Given the effect the feature has had since its debut, FILM at the Erie Art Museum will host a showing of Fight Club on Wednesday, Oct. 15 – 15 years to the day that it was originally released in theaters. You may already be aware of the film's anniversary, thanks to a recent Q&A involving Erie Reader Managing Editor Ben Speggen and Palahniuk that appeared in the past issue – and if you haven't read it yet, I strongly suggest doing so. Some fans may have been a bit jealous of Mr. Speggen and his chat with the man behind Project Mayhem, Jack's smirking revenge, and Tyler Durden, perhaps wishing to be but a fly on the wall during his interview. Well, FILM will give you a chance to do just that, as Ben will host a Skype Q&A with Palahniuk following the showing of Fight Club. The FILM party kicks off at 6 p.m. at the Erie Art Museum with the film starting at 7 p.m., 15 years after audiences first heard Durden utter "The first rule of Fight Club is you do not talk about Fight Club." It's a testament to the book and the movie that even now, people are still disregarding his instructions.